* Offer valid for local residents, adult programs and beginners only. 30 Day Free Trial offer available for Chadstone location only. 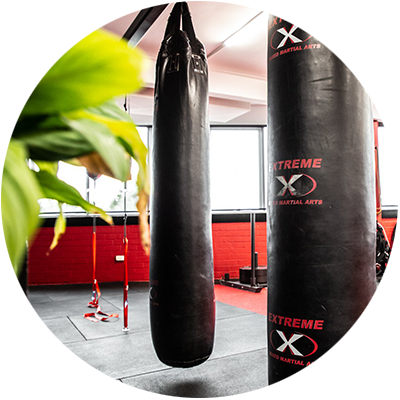 Extreme MMA is Australia’s premiere martial arts, health and fitness academy featuring MMA, Muay Thai, Boxing, BJJ (Brazilian Jiu-Jitsu), Wrestling and Kids’ Classes. 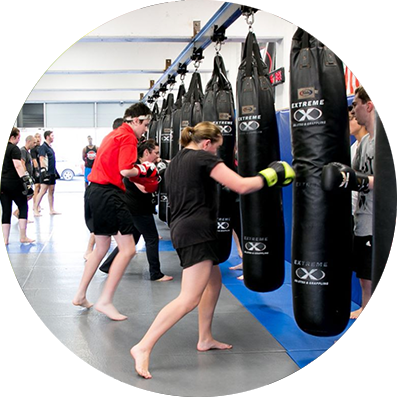 Our comprehensive curriculum caters to students of all fitness and skill levels, from the everyday person looking for a new way to keep fit to the professional fighter seeking a competitive edge. Our highly-qualified, professional coaches are equipped with the expertise and experience to help individuals achieve their goals in a friendly and social environment. Academies boast state-of-the-art facilities with spacious training areas and a wide range of equipment to ensure that students get the most out of their training. With modern amenities like change rooms and showers, Extreme MMA is the premiere martial arts destination for those seeking world-class coaching in a clean and conducive training environment. Our children have been members at the club for the past 3 years – during this time we have seen them grow and develop under the watchful guidance of their coaches in particular Paul McVeigh. Paul has been instrumental in developing our children, not only in sport but on a holistic approach that has transferred into every day. We can’t thank the club enough for the support and encouragement they have given us as a family. We can’t encourage people enough to check out this gym and the classes they offer to empower children in their own right. No matter what the ability everyone is welcome. Extreme MMA is for the entire family. 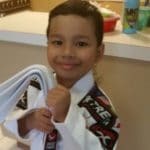 The Kids BJJ classes have been incredible for my 9-year-old son, teaching him to not only ‘fight’ and protect himself but how to act under pressure and the discipline required to be great. Thanks to all the amazing coaches – you are teaching Elijah lessons that will last a lifetime. Now, I’ve dropped 6+ kgs and have become lean, cut and strong. I have learned not to give up with things seem hard or difficult. Extreme MMA is a great experience! I used to go to the gym and I played netball for a year but I didn’t see much of a difference. After just 1-2 months of training MMA, people have already noticed I’ve started to lose some weight. I’ve had so much fun putting people in choke holds that I didn’t realise the amount of strength it gave me. Thanks to the coaches I’ve become more confident. I started coming here because I was bringing my son here and thought I should have a go too. I love training here because of the people. The environment’s really good and there are no egos. The fitness benefits have been amazing. I’d highly recommend this gym to anyone. 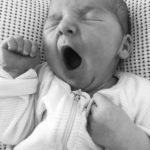 It’s by far one of the best things I do during the week. It’s highly addictive. People from any age can do it; men, women, and children. If you wanna learn technique or if you wanna work on your fitness, the coaches are there to help you. My son, LJ, is 4 and has been loving his time at Extreme MMA. He has made new mates and has learned new skills that will no doubt assist him through his life journey. The coaches are fantastic. Not to mention LJ is being super active rather then being on the iPad or in front of the TV. It’s like being part of a family. Extreme MMA is Australia’s premiere martial arts, health and fitness academy featuring MMA, Muay Thai, Boxing, BJJ, Wrestling and Kids’ Classes. Ive joined with Extreme MMA for 4 years now, and it has been the best decision I have made. It’s a family and parents orientated gym for your child, it’s a warm and friendly place to start your journey if you just want to keep fit, and if you want to step up and learn advanced techniques, and enter competitions, this gym helps you and takes you thought that journey with its experienced coaches. You will be pushed, but that is so you can become the best person you can be, but for me when I look back how it’s changed my physique, my mental strength and life, it has been worth everything. Had my very first BJJ class with no prior martial arts experience, and had an absolute blast. The facilities were fantastic and both the staff and other members were incredibly welcoming. I was initially really nervous but I had a fantastic time. Will definitely be back. Amazing staff, both management and coaches! The coaches are always welcoming, and they all have a wealth of experience and advice to offer you. The training is fun and accomidates not only for beginners but also more experienced practitioners. A fantastic place to train! Trained in Thai Kickboxing for about a year now, and just starting to get into wrestling too. Plenty of different classes running all week, and trainers will you push you with lots of help along the way. Great healthy and hard working environment. Knowledgeable professional coaches who are more than happy to help and develop people to their individual needs. 5 stars. Amazing support and learning environment! Highly recommend.